If we want our students to achieve, we must first create conditions that are conducive to success. California voters honored this principle in the November 2016 election when, over the objections of Gov. Jerry Brown, they approved $9 billion in school construction bonds, with $7 billion earmarked for K-12 schools. More than 55 percent of voters cast their ballots for Proposition 51, an important down payment on the investment needed for safe, healthy schools that support 21st-century learning. Despite a successful bond measure, the effort to develop modern learning environments that prepare students for college, career, and civic life has encountered a series of obstacles. Most of the roadblocks have been set up by opponents of Proposition 51 who, despite the expressed will of the voters, are working to subvert the measure and slow the distribution of funds to public schools. 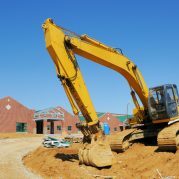 In the past, school construction projects have received state matching funds within one month after the passage of a school bond. As of this writing, we are nine months past the November 2016 election, and only a trickle of money has been released to school districts. This is unacceptable. Proposition 51 was the first statewide school bond passed in a decade. The gap in funding caused the coffers for school construction to empty, resulting in a backlog of more than $2 billion in projects awaiting matching funds — and the approved projects are just a fraction of the total need statewide. Yet, the California Department of Finance has only authorized the sale of about $300 million of the $9 billion bond for 2017 and approximately $300 million for 2018. At this rate, it will take another 10 years to distribute the bond money voters approved last year, meaning almost an entire generation of students will graduate without the benefits of modernized facilities. That’s unfair to those students and it hinders efforts to provide a high quality education that prepares California students to compete in an increasingly technical, global and competitive economy. There is enormous need for upgraded school facilities. The Legislative Analyst’s Office estimates that California schools need to spend between $4 billion and $8 billion a year on building replacement, modernization or upgrades. Approximately 70 percent of classrooms in the state are more than 25 years old, about 30 percent of them are at least 50 years old, and about 10 percent are at least 70 years old. Modernized schools have a positive impact on all aspects of student experience: academic, and social, emotional and physical health. A 2010 report “National Action Plan for Greening America’s Schools” (which the California Department of Education approvingly cites in its presentation School Facilities for 21st-Century Learning) concludes that a sustainable school creates an environment that is conducive to learning and saves energy, resources and money. Additional benefits of sustainable schools include improved student health, attendance and academic achievement. Many school districts have already passed local bond measures with the idea they can combine that money with matching funds from the state in order to complete long-awaited projects. In 2016 alone, 195 school districts passed local school bond measures. The benefits of modern school environments are significant and varied. What’s also clear is that the need grows greater each passing year — along with the cost. The longer the state waits to disburse the money, the greater the risk of rising construction costs and higher interest rates. California’s Coalition for Adequate School Housing notes that construction costs typically escalate at a rate of 6 percent annually, which could result in school districts losing at least $60 million annually in purchasing value for every $1 billion in bonds that remain unsold. According to CASH, if construction costs increase by 6 percent annually and interest rates rise by 1 percent annually, California taxpayers will pay nearly $1 billion more in interest costs for $1 billion less value in new school construction and existing classroom renovation. Every dollar that’s lost to delay is (more than) a dollar lost to fixing ailing infrastructure, building more environmentally sound and cost effective facilities, seismically retrofitting old buildings and equipping classrooms for the kinds of hand-on, technology and project-based learning that is essential preparation for the modern economy. It’s time for opponents of Proposition 51 to get past their sour grapes, stop holding school bonds funds hostage and allocate funds as the voters indicated — to improve conditions for the state’s 6.2 million public school students. This piece was originally published in the July 2017 issue of California School News.